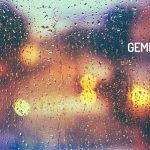 Here is your Gemini Horoscope for November 2018. Every month, you will find at WeMystic the astrological forecasts for your zodiac sign. November 2018 will be an excellent period in sentimental matters, for the natives of Gemini. The entry of Jupiter in the House VII of the sign (08/11), announces the possibility of meeting a special person, or the change of status in relationships (commitments, marriages). This transit also benefits the healing work of old patterns or beliefs, which affect the way you interact with others, and even with yourself. It should be noted that on November 15, the North Node will enter Gemini House II, awakening old conflicts related to self-esteem, guilt and family situations. Keep in mind that the entry of the North Node into your House II is the perfect opportunity to reinvent yourself, change your scale of values, and free yourself from everything that threatens your self-respect and the opportunity to shine for who you are. In general, finances will be stable for the sons and daughters of Gemini, during November 2018. However, it should be noted that the North Node will move to House II of the sign, from 15/11. With the North Node in House II of Gemini, frivolity in the acquisition of goods takes second place, and the practicality of the object is considered, as well as its long-term use. In addition, the subject must be concerned with achieving growth and economic stability, through their own means, and not placing responsibility on others (couple, family) or in random situations. In the same way that the North Node will enter the House II of Gemini, the South Node will own House VIII (15/11), where Pluto, Saturn and the asteroid Vesta are also found. In a sense, we speak specifically of people who use the trust of others to gain advantage, such as a position of more power or financial advantage. You may also feel subjugated by such a situation (being the oppressed, not the oppressor). As Saturn and Pluto are also found in the House VIII of Gemini, there are restrictions and responsibilities (Saturn), as well as the search for true personal power (Pluto). The temporary presence of asteroid Vesta in House VIII emphasizes that your true strength is not found in the possessions you accumulate, the professional position or the social status attained. Authentic personal power resides within. If you place your value in the external, you will be empty and disoriented the day it disappears or you are forced to abandon it. Remember that the only constant is change. In terms of work, the entry of the dwarf planet Ceres in the House VI of Gemini (11/11) indicates an increase in productivity, creativity and interest in sharing knowledge with colleagues and teammates. It is advisable to keep a notebook, handy, because you will have moments of sudden inspiration that will help you solve conflicts or find alternative answers to domestic or work events. It is worth noting that the New Moon in Scorpio on November 7 will touch the House VI of Gemini, which translates into new employment opportunities, promotions, and even entrepreneurship projects. On the other hand, on November 15, Mars will make its entrance into the House X of Gemini, where Quiron and Neptune retrograde meet. The warrior planet will break the thinking of the geminians, prompting them to pursue the success they deserve. It is important to keep in mind that Neptune will culminate his retrograde phase in the X House on 23/11, which means that you will have a clearer vision of what your professional future will be. In the first fortnight of November 2018, the Sun will remain in the House VI of Gemini (accompanied by Jupiter, until the 07th), which translates into vitality and physical strength for the natives of the sign. Subsequently, the entry of the dwarf planet Ceres to the same sector of the astral map (House VI of Gemini), 11/11, tells us of self-care practices that keep the person motivated and focused on their overall welfare. The influence of Ceres in the House VI of Gemini is perfectly combined with the energy of the New Moon in Scorpio on November 7th, and the Full Moon in the sign of the twins on November 23rd. The first lunar event will affect the House VI of Gemini and invites to create new habits, this involves both daily routines (work or domestic), as regards food, exercise and medical care (check-ups, interventions). On the other hand, the full moon in Gemini (23/11) will make it possible to evaluate the processes undertaken with the New Moon, and to put an end to negative behavior patterns, which you know threaten your development. Additionally, it is important to take advantage of the New Moon in Gemini to address issues such as the management of internal dialogue (how you speak to yourself), and beliefs (limiting and strengthening). Another aspect that you must take into consideration during November 2018, is the entry of the South Node to the House VIII of Gemini (15/11), which although it is a location that tells us of trust and shared goods, also warns about the reappearance of old ailments and their aftermath. The sons and daughters of Gemini who have suffered (or suffer from) ailments associated with bones and joints should pay particular attention in this regard, as they may be the most affected.